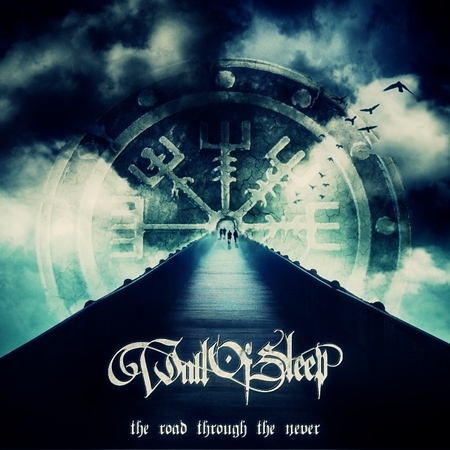 Wall of Sleep formed in Hungary in 2001 and released an EP in 2003, followed by their debut album, “Slow But Not Dead” in 2004. Further albums followed quickly in 2005, 2007 and 2010. There was then a gap to the fifth album “No Quarter Given” in 2014 and another four year gap ahead of this current release. The latest album is the first with the band’s new vocalist; their third so far, with the first two singers each lasting about eight or nine years between 2001 and 2016. Two of the bands founding members remain – Szabolcs Szolcsányi on drums and Sándor Füleki on guitar. Bass player Barnabás Preidl and guitarist Balázs Kemencei have been with the band since 2005 and 2006 respectively. The band’s newest member is vocalist Zoltán Bátky-Valentin (BZ) who joined in 2017. Much of the change in sound for the band probably results from the arrival of BZ. Indeed, the final song on the album traces its roots to one of his previous bands.